From the stage, a brightly dressed character slathered in canary yellow facepaint rolled his eyes from side to side, then up and down, before bugging them out and causing fits of laughter amongst the audience. Between my giggles, I turned to the boy and saw awe and confusion writ large on his face. ‘What a strange end to our trip to India,’ I thought to myself. 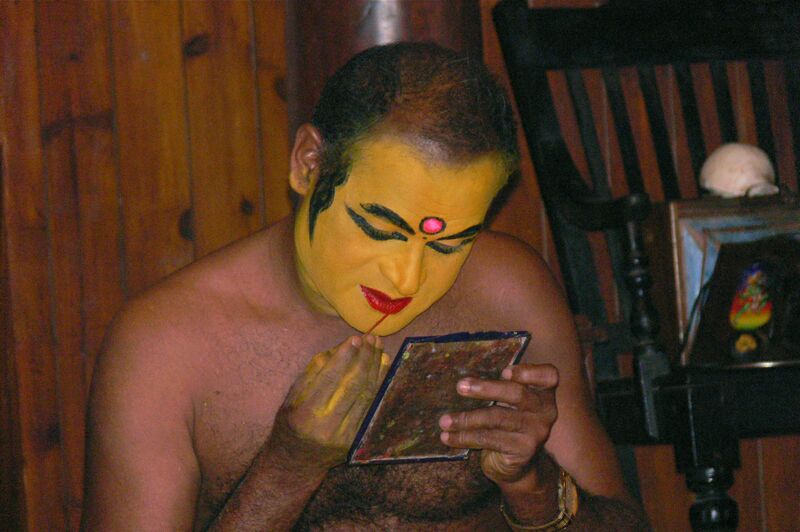 The brightly painted man was part of a Kathakali troupe, a famous style of theatre which has been going on in Kerala since the 17th century. The actors onstage – who spend years training – use dramatic hand and eye movements to communicate the stories while a sharp-voiced singer keeps the chorus and drum beat going behind them. It was fabulously strange but also mesmerising. 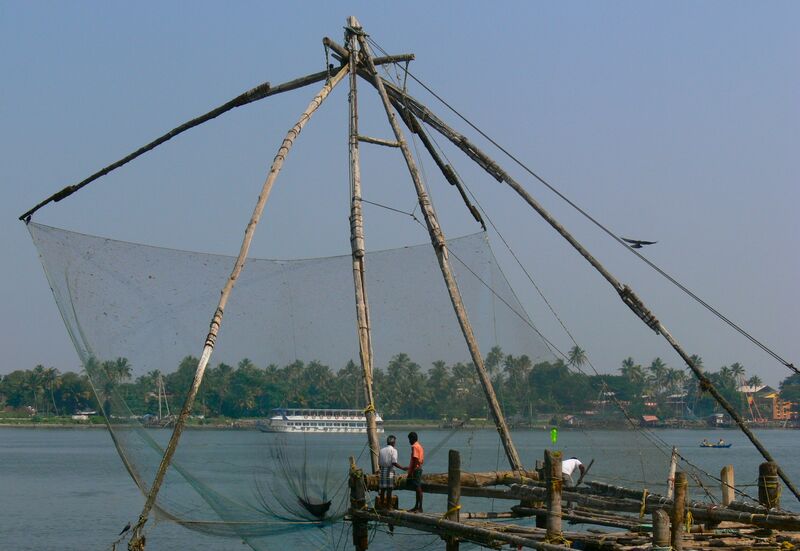 Famous Chinese fishing nets in Kochi. It was our last night in India and the boy and I were exhausted. After leaving the luxury of Vaamika Island, we took a speedboat and taxi to our final hotel in Fort Kochi, the city we were due to fly from the following morning. After a day wandering the dusty streets of the former Portuguese and Dutch town, taking in the crumbling colonial remnants such as St Francis Church (where explorer Vasco da Gama was once buried), the boy and I were officially ready to head back to our damp cool English home. A month on the road had officially taken its toll. 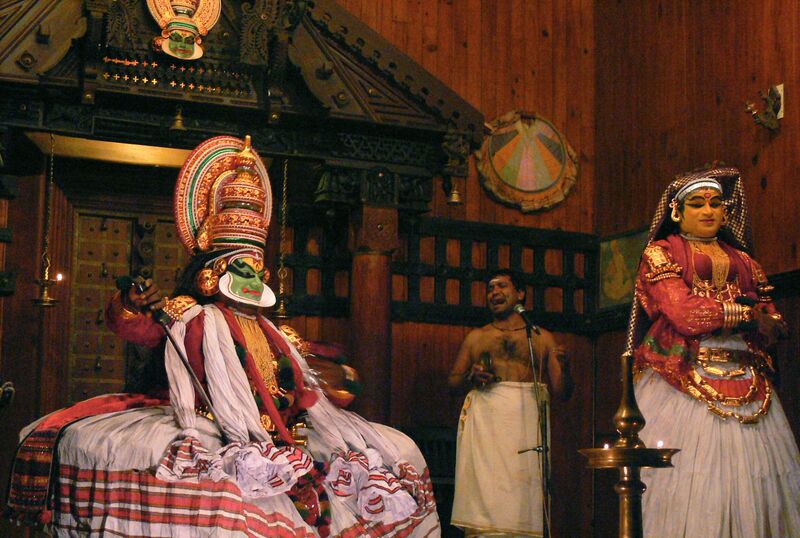 But knowing it was our last night, we also wanted to experience a few final bits of India and a Kathakali performance was one that had been recommended by many books and sites we’d researched. We arrived in the hot theatre just in time to see the final stages of make-up being applied to each of the actors – a process which can take up to an hour for each show. 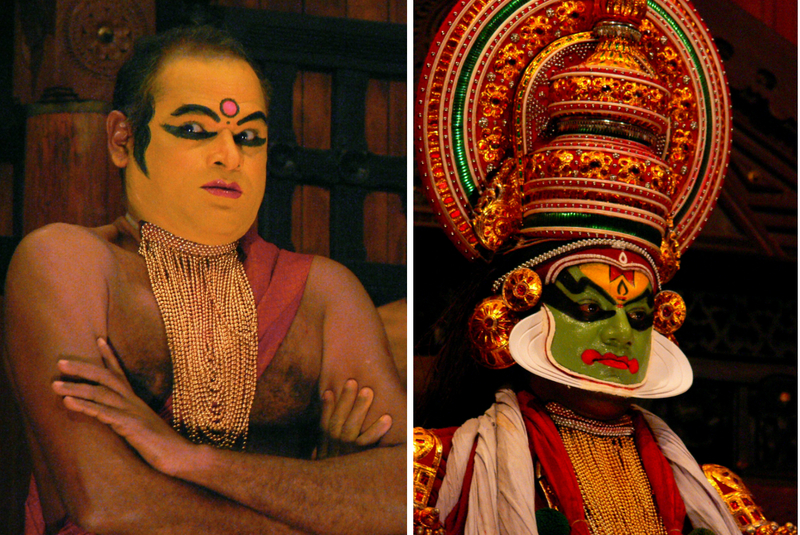 The audience was then treated to an explanation in English of what the various moves meant – from a flick of the hand to an accentuated eye roll, Kathakali is one of the most expressive things I’ve ever witnessed. Then, for 30 minutes we watched a few scenes from a story written by king Karthika Thirunal in the 18th century which focuses on the battle between Narakasura (a demon king) and Lord Krishna. A normal Kathakali play would be many hours long, so the shortened version gave us only an oversight but was fascinating the whole while. Leaving the playhouse befuddled at what we had just seen, the boy and I proceeded to Malabar Junction in the top-end Malabar House Hotel to treat ourselves to a special final meal. Earlier in the day, we’d eaten at the fabulous Dal Roti (whose owner is slightly hyperactive and very friendly) so, ironically, we decided to skip a last traditional Indian meal and indulge in a more ‘modern’ choice – odd, I’m sure to hear given these were our last hours in India but after so many Indian meals, our limits were topped out. The setting at Malabar House was beautiful – a classical music troupe entertained guests spread around an open courtyard and into the swish dining room, while tables were abuzz with the chatter of well-to-do locals out for a night of food and fun. A final shot – looking much browner than we would a few months later. Over our final glass of wine and meal, we reflected on our time in India – from the highs to the very low, lows. It was a beautiful country but it was most definitely challenging and tiring. 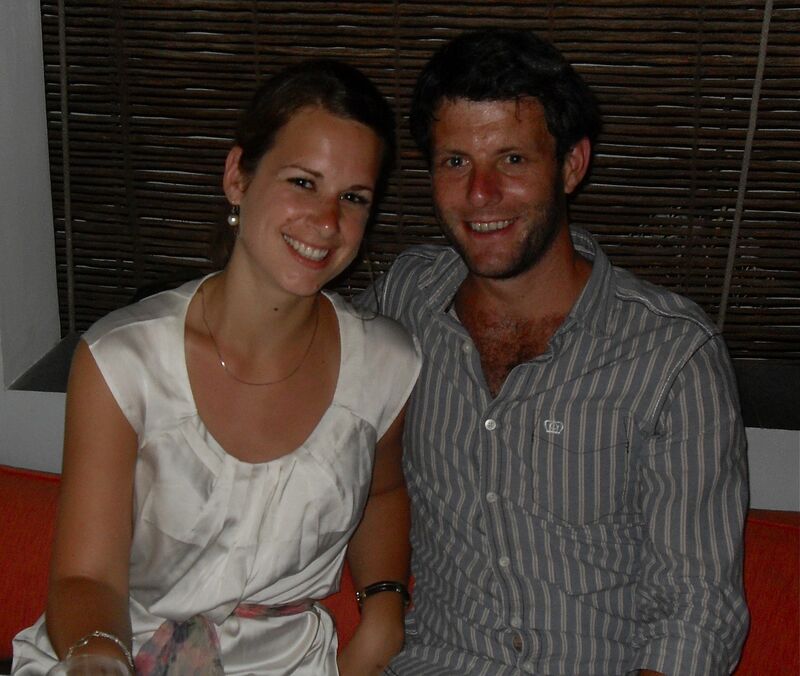 We would leave India the next morning with the desire to sleep and recuperate for a week. And while the difficult moments stood out at the time in our minds, these few months later it is much easier to recall all those other times filled with pleasure, something I hope to do for many years to come.